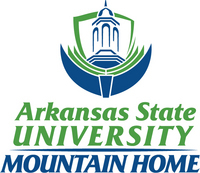 ASU-Mountain Home has been a part of the ASU system since 1995. Since then enrollment has grown to approximately 1200 students. As a public two-year institution, ASUMH offers associate degrees and certificates in occupational fields and transfer degrees for students planning to pursue a bachelor’s degree at another university. Junior, senior and graduate courses are offered through the ASU-Jonesboro programs on the ASUMH campus as well. Other educational opportunities include non-credit community interest courses. Low tuition and small classes are two of the main reasons students choose ASUMH. Senior citizens may attend regular college credit courses tuition-free as space is available.